While the group learn a new dance number, there is someone who is far from happy about it. Never try to steal the funk unless you're ready to handle a nasty proverbial dunk. Although not particularly a street fighter of any kind, Poo's punches are down right fierce. The Plague Rat tries to move towards Ness, but Jeff has plans of his own. While the others fell on the platforms in the sewers, Paula wasn't quite so lucky. Perhaps being a ghost right now isn't such a bad idea. Not content with letting his unconscious girlfriend float in sewage, Ness gives her a helping hand. 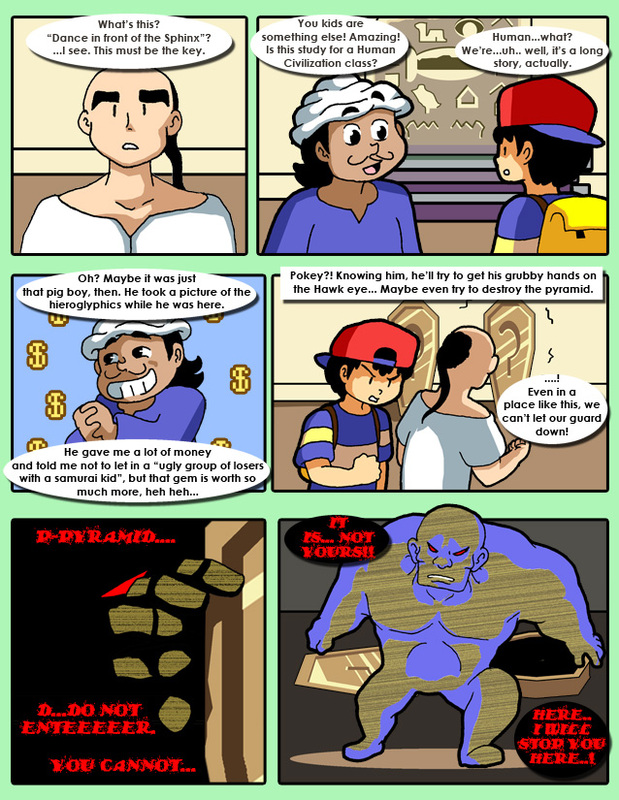 While Ness revives Paula, Poo puts the Plague Rat on ice...literally.